A Place Called Pluto is a new short documentary by director Steve James (Hoop Dreams, The Interrupters), co-produced by Kartemquin. Made for the Living with Alzheimer's project, the film is one of four shorts commissioned by bestselling author and Alzheimer's expert David Shenk in partnership with Cure Alzheimers Fund and MetLife Foundation. The project aims to raise public awareness of the disease. 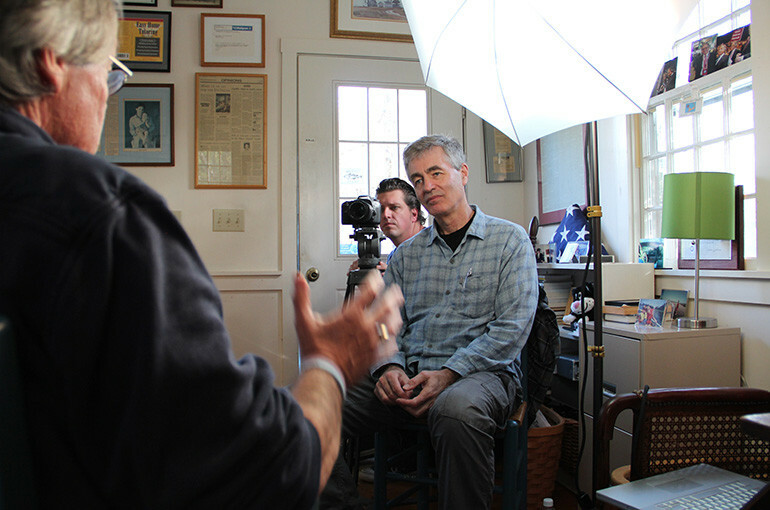 Steve James' project, made with producer, KTQ associate and frequent collaborator Adam Singer (Hoop Dreams, Stevie), centers on Greg O’Brien, long-time Cape Cod reporter and newspaperman, who has been diagnosed with Early Onset Alzheimer’s. Acting on instinct and journalistic grit, Greg has decided to face down the disease and his imminent decline by writing frankly about the journey. On the official site for A Place Called Pluto, Steve reveals that though his great aunt suffered from Alzheimer's, the true inspiration for the film came from witnessing his father, a proud athlete, suffer from Parkinson's disease in the last years of his life, and a desire to "to find someone at the early stages of [Alzheimer's] disease who had made the brave decision to not hide, to not keep it a secret... to stare at the headlights." In an interview with IndieWIRE, James also said he may follow up on "A Place Called Pluto" at some point: "There may be a larger film there that could be told. I certainly haven't ruled that out right now, but I'm swamped with my current projects." (James is currently finishing Life Itself ) "A feature film that could look at this over the course of time -- which is something I've done a few of in the past -- could be really powerful." Edit: the video has been temporarily taken down as the film plays out its 2014 festival run. Check with Living with Alzheimer's for more information.